John Lewis has signed a pre-let for a 46,000 sq ft urban depot in Nursling, Southampton. The customer delivery hub will be developed by Peel Logistics Property with funding from Rockspring Property Investment Managers at their 202,000 sq ft South Central scheme. The new build-to-suit facility will provide John Lewis with additional capacity to service the City of Southampton and wider south coast region. This is the first leasing deal signed at South Central, which comprises three facilities totalling 202,000 sq ft. John Lewis’ facility will be completed by September 2018. Construction of the two other facilities (117,000 sq ft and 39,000 sq ft) is underway on a speculative basis and they are expected to be completed by May 2018.South Central is an urban logistics development being delivered by Peel Logistics Property. Peel Logistics Property said that the site is ideally suited to port-centric occupiers in the distribution and storage sectors and those serving the wider south coast conurbations. The site is strategically located within two miles of Dock Gate 20 of the Port of Southampton, offering close transport links to the M27 and M271 and capable of operations 24 hours, 7 days per week. Lambert Smith Hampton and Jones Lang LaSalle acted for Peel Logistics Property. 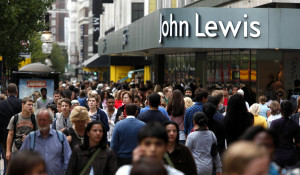 Colliers acted for John Lewis.